This is a grammatical abortion. The revolution will not be grammar-checked. Our oppressors will wear galoshes? How stupid! There’s a massive difference. 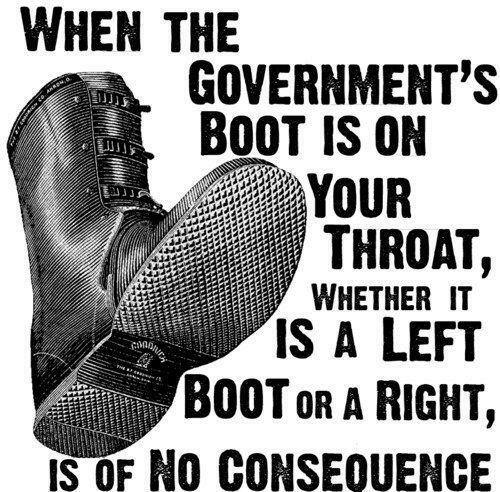 Left boots tend to stamp on your throat as a temporary measure to ensure other throats have the boot removed. Righ boots can be removed from your throat for a small donation.